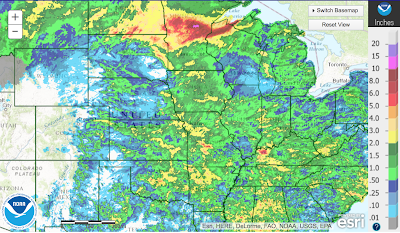 The last seven days, for July, have produced relatively widespread rainfall throughout the Farm Belt. 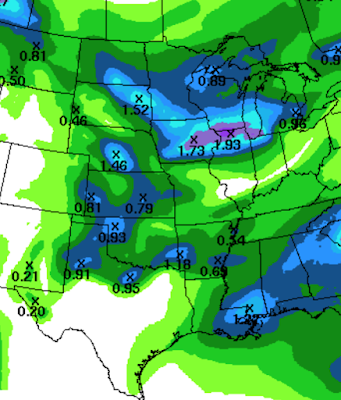 The next three days will produce relatively widespread (again, for July) rainfall in the region. 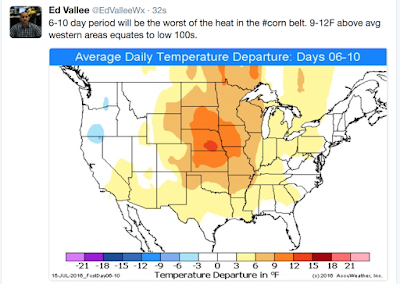 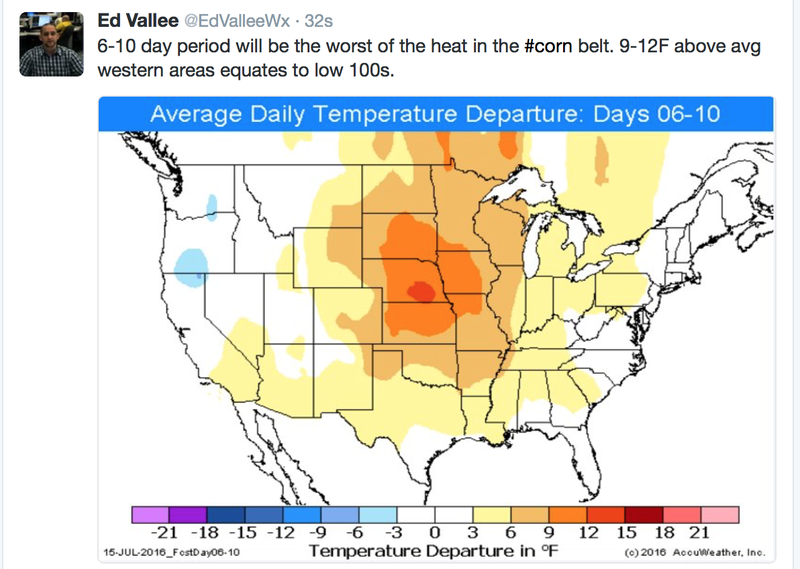 HOWEVER, things are going to heat up and dry up big time next week in the heart of the Farm Belt as the storm track shifts east. AccuWeather has the full details. 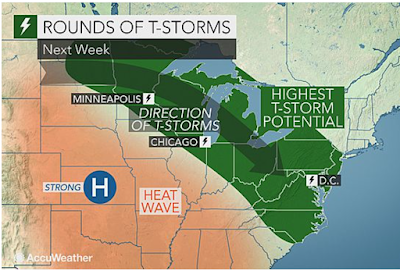 UPDATE: AccuWeather has sent this updated map.